It’s time to add another name to this illustrious list! 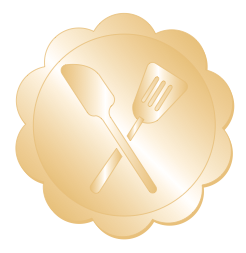 As we say good-bye to 2016, we are excited to welcome a new member to the Cooking Contest Central “Hall of Fame.” This honor has been bestowed on 26 of our members since 1999. Who will be next? -Include the name of ONE Cooking Contest Central member who you believe deserves to be honored in our Hall of Fame. -Include one short sentence describing why you think this member deserves the award. *** Remember, there are many qualities that make someone qualified for this honor. Of course you can consider someone who is a frequent winner or someone who has a long history as a CCC member. I encourage you to also think about members who contribute to the success of our community in other ways as well. Those who are always willing to help out a fellow member, or even those who just have a positive attitude and keep our spirits high! All nominations must be received by this date. Our new Hall of Fame member will be announced online and through our newsletter the week of January 9th.